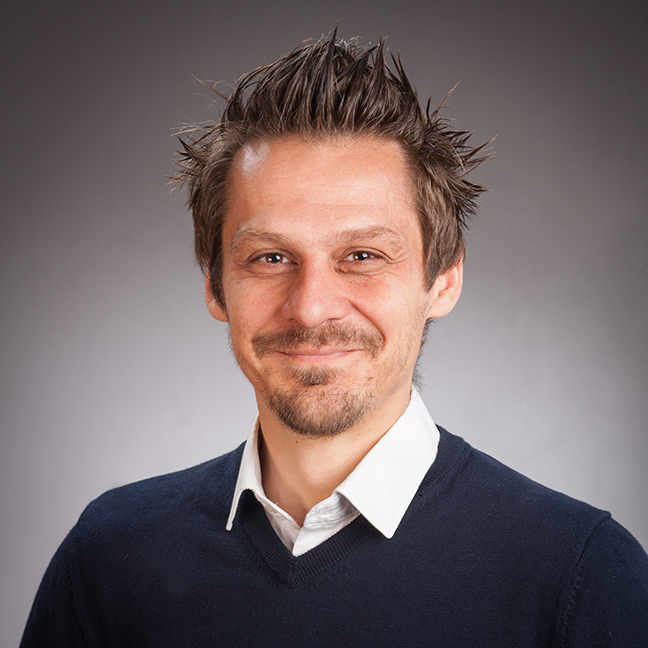 Markus Luczak-Roesch is an Associate Professor within the School of Information Management here at Victoria University of Wellington. Information dynamics: This research area is concerned with formal models of temporal dynamics in naturally occuring complex systems such as human language, brain activities, and people's digital traces online. The focus is on fundamental questions of space and time in the context of information as well as emergent meaning that is rooted in coincidence. Socio-technical systems: This focuses on advancing our understanding of systems in which the activities of human collectives lead to meaningful outputs. This encompasses widely-known online communities such as Wikipedia and Wikidata, where the outputs are articles, knowledge graphs and ontologies, or citizen science platforms such as Zooniverse and EyeWire, where the outputs are crowdsourced classifications of digital objects and discussions among citizen scientists. Humans in the information age: This addresses human factors of information and computing systems such as technical or social exclusion. A complete list of Markus' publications can be found on Google Scholar. He also maintains a profile on Research Gate and is active on Twitter. In a Stuff News opinion piece Markus Luczak-Roesch argues for a paradigm shift for the digital economy and a restoration of the original decentralisation ethos of the World Wide Web. Markus Luczak-Roesch was interviewed for a column on echo chambers and how to overcome those in the modern digital media ecosystem. The piece titled "My Very Own Echo Chamber: News in an Age of Confirmation Bias" was published in The New Zealand Herald. Article on the principled foundations and practical advantages of analyzing information dynamics in socio-technical systems with Transcendental Information Cascades (networks of information token recurrence) published in Minds and Machines: Luczak-Roesch, M., O'Hara, K., Dinneen, J.D. and Tinati, R., forthcoming. What an entangled Web we weave: An information-centric approach to time-evolving socio-technical systems. Minds and Machines, Springer. New journal article published on inequalities and exclusion in the data life cycle in digital humanitarianism: Roth, S. and Luczak-Roesch, M., 2018. Deconstructing the data life-cycle in digital humanitarianism. Information, Communication & Society, pp.1-17. Together with VUW colleague Kathleen Kuehn, Markus gave a Spotlight Lecture titled "Re-building the Web we want", which was dealing with the recent facebook-Cambridge Analytica data scandal. New journal article published on computational support tools for the Humanities (Digital Humanities): Luczak-Roesch, M., Grener, A. and Fenton, E., 2018. Not-so-distant reading: A dynamic network approach to literature. it-Information Technology, 60(1), pp.29-40. The paper "Twenty Thousand Leagues Above the Book: An Interactive Visual Analytics Approach to Literature" won the best demo award at the ACM SIGCHI Conference on Supporting Group Work 2018. Markus was interviewed by Radio Live New Zealand on filter bubble effects on the modern social media ecosystem. The Royal Society of New Zealand published Markus' work as part of the "Past and future" blog series. The post was also shared on SciBlogs NZ. Markus Luczak-Roesch's work has been featured on Newsroom NZ. Luczak-Roesch, M., O'Hara, K., Dinneen, J.D. and Tinati, R., forthcoming. What an entangled Web we weave: An information-centric approach to time-evolving socio-technical systems. Minds and Machines, Springer. Roth, S. and Luczak-Roesch, M., 2018. Deconstructing the data life-cycle in digital humanitarianism. Information, Communication & Society, pp.1-17. Luczak-Roesch, M., Grener, A. and Fenton, E., 2018. Not-so-distant reading: A dynamic network approach to literature. it-Information Technology, 60(1), pp.29-40. Feyisetan, O., Simperl, E., Luczak-Roesch, M., Tinati, R. and Shadbolt, N., An extended study of content and crowdsourcing-related performance factors in named entity annotation. Semantic Web, 2018. Tinati, R., Luczak-Roesch, M., Simperl, E. and Hall, W., 2017. An investigation of player motivations in Eyewire, a gamified citizen science project. Computers in Human Behavior. Luczak-Roesch, M., Tinati, R., Aljaloud, S., Hall, W. and Shadbolt, N. (2016) A universal socio-technical computing machine. In, 16th International Conference on Web Engineering (ICWE2016), Lugano, CH, 06 – 09 Jun 2016. Tinati, R., Luczak-Roesch, M., Hall, W. and Shadbolt, N. (2016) More than an edit: using transcendental information cascades to capture hidden structure in Wikipedia. At 25th International World Wide Web Conference, Montreal, Canada, 11 – 15 Apr 2016. ACM (doi:10.1145/2872518.2889401). Dragan, L., Luczak-Rösch, M., Berendt, B., Simperl, E., Packer, H. and Moureau, L., 2015. A-posteriori provenance-enabled linking of publications and datasets via crowdsourcing. D-Lib Magazine, 21(1), p.2. Luczak-Roesch, M., Tinati, R., O’Hara, K., & Shadbolt, N. (2015, February). Socio-technical computation. In Proceedings of the 18th ACM Conference Companion on Computer Supported Cooperative Work & Social Computing. ACM. Luczak-Roesch, M., Tinati, R., Van Kleek, M., & Shadbolt, N. (2015, August). From coincidence to purposeful flow? properties of transcendental information cascades. In Proceedings of the 2015 IEEE/ACM International Conference on Advances in Social Networks Analysis and Mining 2015 (pp. 633-638). ACM. Tinati, R., Van Kleek, M., Simperl, E., Luczak-Rösch, M., Simpson, R., & Shadbolt, N. (2015, April). Designing for Citizen Data Analysis: A Cross-Sectional Case Study of a Multi-Domain Citizen Science Platform. InProceedings of the 33rd Annual ACM Conference on Human Factors in Computing Systems (pp. 4069-4078). ACM. Luczak-Rösch, M., Simperl, E., Stadtmüller, S., & Käfer, T. (2014). The role of ontology engineering in linked data publishing and management: An empirical study. International Journal on Semantic Web and Information Systems (IJSWIS), 10(3), 74-91. Luczak-Roesch, M., Tinati, R., Simperl, E., van Kleek, M., Shadbolt, N. and Simpson, R., 2014, May. Why Won't Aliens Talk to Us? Content and Community Dynamics in Online Citizen Science. In Eighth International AAAI Conference on Weblogs and Social Media. Simperl, E., & Luczak-Rösch, M. (2014). Collaborative ontology engineering: a survey. The Knowledge Engineering Review, 29(01), 101-131.